Sweeping changes to federal immigration policy could have a disproportionate effect on California, where 50 percent of children have at least one immigrant parent, compared to 25 percent nationwide, according to the latest data available on Kidsdata. That translates to 4.5 million children in California alone. In congressional districts 17, 34 and 46, which represent parts of greater Los Angeles and the San Francisco Bay Area, more than 75 percent of children have at least one immigrant parent. In 2013, California passed immigration legislation to address disparities between immigrant and non-immigrant families. California also offers some benefits to undocumented immigrant children that would not be available under federal law, including Medi-Cal, post-secondary financial aid, and domestic worker protections for their parents. Additionally, the federal Deferred Action for Childhood Arrivals (DACA) program, introduced in 2012, was viewed as important temporary relief from deportation, expanding the socioeconomic mobility and trajectories for eligible youth. Under the new administration, the future of the DACA program is uncertain. 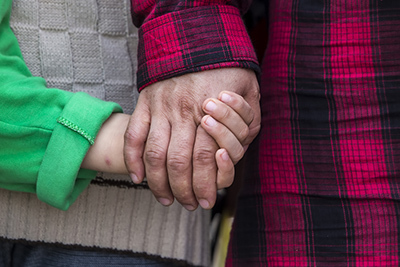 For mixed-immigration-status families, family separation poses serious risks for children, including emotional trauma, housing insecurity and food insecurity. Immigration policies must not lose sight of the well being of children and their families. Join Kidsdata on February 24th in Mountain View at the 10th Annual Santa Clara County Children’s Summit. This entry was posted on Friday, February 10th, 2017 at 1:28 pm. You can follow any responses to this entry through the RSS 2.0 feed. You can leave a response, or trackback from your own site.